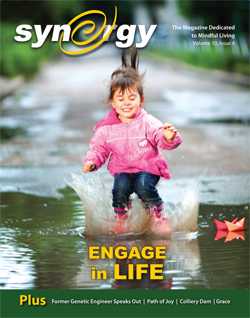 Synergy is published without prejudice on a bi-monthly basis and distributed from Victoria to Campbell River on Vancouver Island plus subscriptions across Canada. Copyright is claimed to all material and may not be reproduced in any form without the express permission of the publisher and/or authors. The views expressed within these pages are not necessarily those held by the publisher.